Salat al-Istikhara. The prayer seeking of Allah's guidance before taking a major decision. 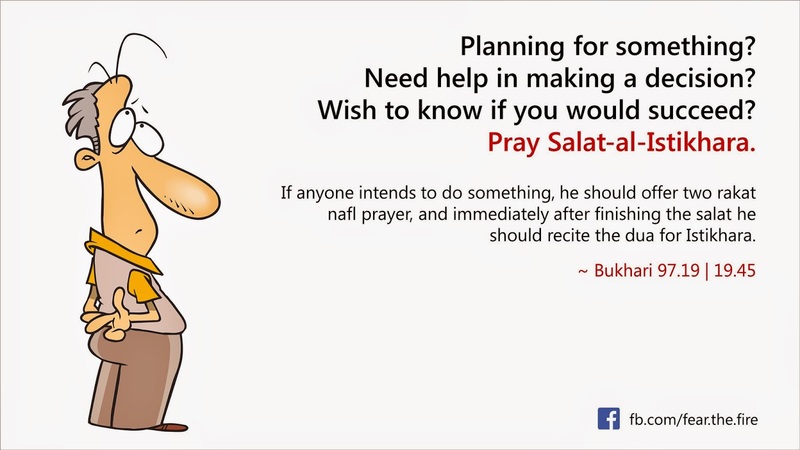 Salat al-Istikhara means to ask Allah to guide oneself to the right sort of action concerning any job or a deed. It is a powerful tool that Allah has given us to ask His guidance in all matters. We should not hesitate to pray Istikhara before making any choice in our lives, big or small. Istikharah is done when a decision is to be made in matters which are neither obligatory nor prohibited. So one does not need to do Istikharah for deciding whether he should go for hajj or not. Because if he is financially able to do it then hajj is obligatory and he does not have a choice. But Istikharah can be done in all kind of other permissible matters where a choice needs to be made such as buying something permissible, taking a job or choosing a spouse etc. It is related in a Hadith that The Prophet (pbuh) used to teach the Istikharah to the Sahaabah for every matter just as he used to teach them the Sürah from the Qur'an. In another Hadith it is stated that 'He does not fail who makes Istikharah and he does not regret who makes consultation. "Allahumma innee astakheeruka bi ilmika wa-astaqdiruka biqudratika wa-as'aluka min fadhlika al-adheem. Fa innaka taqdiru walaa aqdiru. Wa ta'lamu walaa a'alamu wa anta allaamul ghuyoob. Allahumma in kunta ta'lamu anna haadhal-amr khayrun liy fiy deeniy wa-ma'aashiy wa-'aaqibat amriy, faqdur hu liy wa-yassirhu liy thumma baarik liy feehi. Wa in-kunta ta'lamu anna haadhal amr sharrun liy fiy deeniy wa-ma'aashiy wa-'aaqibat amriy. Fa asrifhu 'annee wa-srifni 'anhu. Wa aqdur lial khayra haythu kaana thumma a-rdhiniy bihee." "O Allah, I seek Your guidance through Your Knowledge, and ability through Your Power, and beg Your favour out of Your infinite Bounty. For surely You have Power; I have none. You know all; I know not. You are the Great Knower of all things. O Allah! If in Your Knowledge this matter (mention actual matter or decision you want from Allah) be good for my faith, for my livelihood, and for the consequences of my affairs, then ordain it for me, and make it easy for me, and bless me therein. But if in Your Knowledge, this matter (mention actual matter or decision you want from Allah) be bad for my faith, for my livelihood, and for the consequences of my affairs, then turn it away from me, and turn me away therefrom, and ordain for me the good wherever it be, and cause me to please with it." The answer to one’s istikhara prayer does not come simply in the form of dreams and feelings but in how Allah facilitates and unfolds events for an individual after he or she genuinely strives to do what is best. Lastly, one needs to be patient in terms of receiving the answer to their prayers. Why praying 5 times a day is important and how it prevents immorality and wrongdoing. 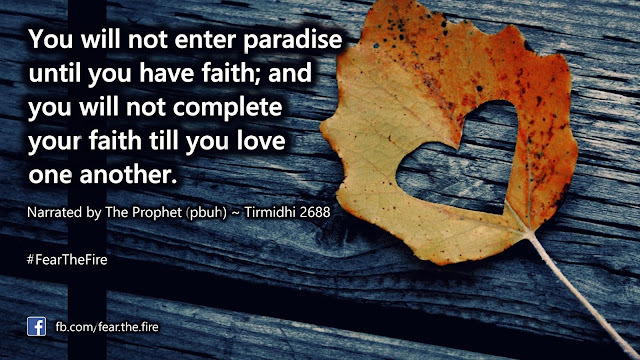 How the six voluntary prayers, in addition to mandatory prayers, will ensure your ticket to Paradise. Why does Allah tests us.